What is now Park Hotel Viljandi was first built in 1910, as a wooden house, to the Laidoner Square, which was back then named Suurturu (Great Market) Square. 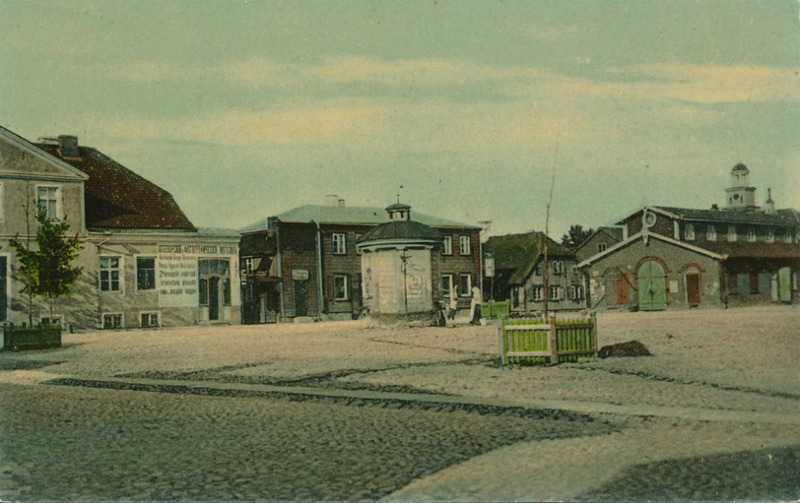 The area, surrounded by wooden houses, was the center of Viljandi for centuries. When the farmer and flax merchant Andres Ormisson bought the modest wooden house, he probably did not anticipate its future grandeur. On the first floor he opened a diner, on the second floor an inn and a number of various businesses. On the right you see a picture of the Great Market at the first decade of the last century. From the back of Kaevumaja (Well House) you can see Ormisson’s old house. On the right there is a market building, which was demolished during the second half of the 1930’s when the market was moved to another place. On the far right you can spot the Town Hall Tower. 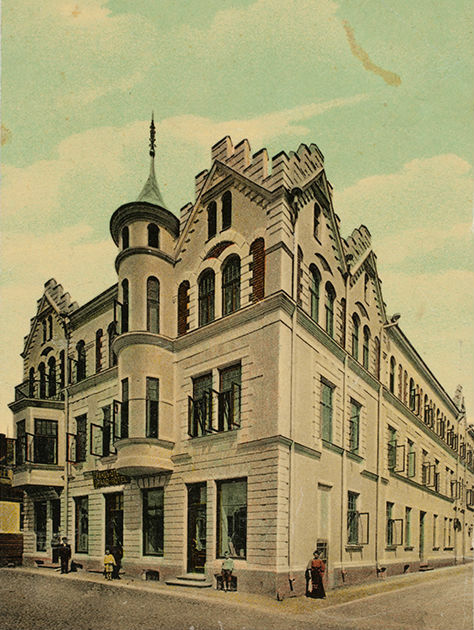 When the house was destroyed by fire in 1909, Ormisson got the idea to build Viljandi’s most luxurious three-storey brick house with central heating and water supply. Once ready, the house began to operate as a luxury hotel with a restaurant and several businesses. The hotel was named Grand Hotel. After the death of Andres Ormisson in 1918, his wife Anna continued to manage the hotel and the restaurant. She also welcomed theatre groups, coming to town, to the hotel. Soviet occupation ended the success story of the hotel. The premises were during the war used as a hospital and later as educational facilities, housing a trade school and then a medical school. From 1960 to 1997 Cultural Education School, the predecessor of today’s University of Tartu, Viljandi Culture Academy occupied the premises. The renovation of the Park Hotel Viljandi’s building started in 2016 and ended in the summer of 2018. Today the hotel has rather dignified neighbours: the Old Water Tower, the museum and the Town Hall.